Mark Brown is a 18-year veteran sportscaster with ESPN International working on the NBA, NFL, MLB, tennis and variety of international competitions. His play-by-play experience consists of more than 300 NBA games (including 8 NBA Finals and 9 All-Star Games), over 40 NFL games (including Super Bowls XXXII and XXXV), Euroleague Basketball Final Four 2006 through 2010, the 2002 Volleyball World Championship and all 4 Tennis Grand Slams (Australian Open 2001,2003, French Open 2009-11, Wimbledon 2009-11, U.S. Open 2009-11). Mark also provides reports for International editions of SportsCenter for Basketball, Tennis and Cycling. Mark currently does College Basketball play-by-play on Big East and Big Ten games for ESPN as well as some UConn Women’s Games for CPTV. In 2012 he was named the International Television Play-by-Play voice of the Final Four, broadcasting the NCAA Men’s Basketball Championship to more than 200 countries. He also does NCAA Tennis play-by-play on Longhorn Network. As a freelance Sports Anchor and Reporter with CBS affiliate WFSB-TV in Hartford, Mark has covered the UCONN Football and Basketball programs, PGA Tour Golf, WTA Tennis and the New England Patriots. Along the way he has served as the TV voice of UCONN Football, the CBA’s Connecticut Pride and the U.S. Virgin Islands Paradise Jam Basketball Tournament. 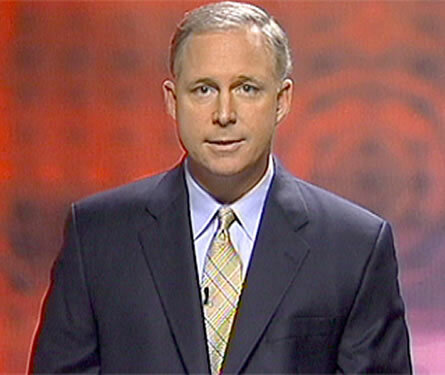 In addition to ESPN International,WFSB-TV and CPTV, Mark’s work has aired on ESPN, ESPN2, ESPN Classic, ESPNU, ESPN3, CN8, MSG, SNY, Cox Sports, Fox College Sports and most of the Fox Sports Nets.